Mobile games have come quite a long way in the last few years, but no matter the platform or what kind of games you prefer, everyone needs a little adventure now and again. So, we’ve found and selected one of the top Adventure games for Android and IOS. With all of the free time you might have coming up over the next few days, this game just might provide the excitement you need to carry you through. If you’re looking for a new, fresh, addictive and challenging game then you’re in the right place, at the right time. Check out Crazy Submarine: Underwater Survival, a quite charismatic game which is a combination of action and adventure game and it’s ideal for killing the boredom and replace your free time with some incredibly fun game play. This lovely game abounds with charming graphics, challenging the fun game play, cool one touch control and crazy simple submarine endless runner survival underwater that will surely glue to your Android or IOS device for hours and hours. Crazy Submarine: Underwater Survival can be played by the public from 7 to 77 years of age. 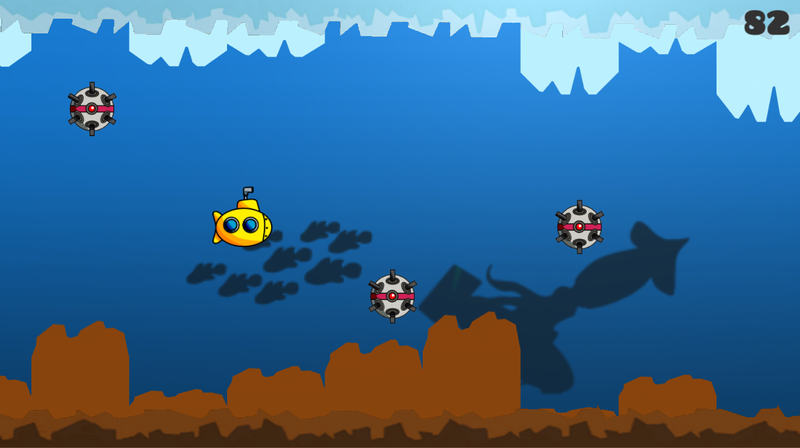 The point of the game is to make high scores much as possible by controlling the little yellow submarine and avoid all the underwater mines and corals. Another challenge is to beat your own records and top scores. Don’t miss this lovely adventure game app and download it for free. It’s available on Google Play Store and App Store, so check it out on the links down below.